With the introduction of this new feed, Kent revolutionized the cattle feeding industry. Before Baby Beef™, most cattle feeds were formulated with little regard for nutritional needs. Kent Baby Beef™ was manufactured with only top-quality ingredients and no filler materials, setting a new standard for the industry. Kent’s feed mill flourished in Indianola and, in 1936, he moved his steadily growing company to Muscatine, Iowa, to take advantage of economical Mississippi River transportation. Over the years, Kent Feeds continued to expand its product offerings with new swine, beef, dairy, poultry, specialty and pet products. 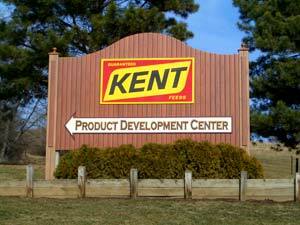 As the market for Kent Feeds products continued to grow, additional Kent plants were built to meet the demand. Today, Kent Nutrition Group operates plants in Altoona, Iowa; Arcade, New York; Beardstown, Illinois; Bow, New Hampshire; Columbus, Nebraska; Hagerstown, Maryland; Logansport, Indiana; Marshall, Missouri; Mason, Michigan; Richford, Vermont; Rockford, Illinois; Sioux City, Iowa; and Waterloo, Iowa. In 1955, Kent Feeds purchased the first acres for what is now a 650-acre Product Development Center complex a few miles from Muscatine, along the Mississippi River. At this facility, feeding trials are conducted to evaluate feed ingredients and new feed formulations to improve animal feeding efficiency. Through research, “The Feed Without A Filler” has grown into a complete line of guaranteed products which can be found throughout the Midwest and beyond. 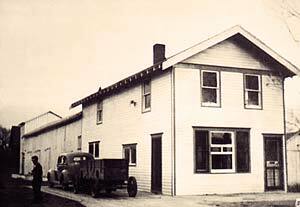 Today, 92 years later, the Kent brand continues to thrive as a leader in the research, development and manufacturing of animal nutrition products. A subsidiary of Kent Corporation, Kent Nutrition Group remains part of a family owned network of companies including Grain Processing Corporation and Kent Pet Group of Muscatine, Iowa, and Kent Precision Foods Group, of St. Louis, Missouri.